New year new you, right? The end of a year gives everyone an opportunity to set goals for the upcoming year, be it financial, travel, your physique, etc. One goal that many often overlook, even though it can be just as important, are your insurance goals! The new year is a great chance to really look at your coverage and the cost of it, and make changes accordingly. 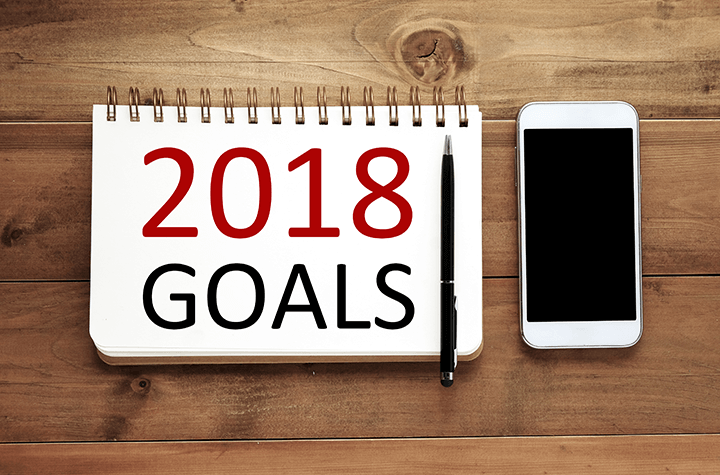 Here are five insurance goals to consider making in 2018. Even if you are happy with your current coverage, it is a wise idea in 2018, to shop around for home and auto insurance. Doing so will expose you to any possible discounts that may be available to you elsewhere and will also help to keep your current policy from getting stale. Obtaining insurance quotes are a risk-free way to save some money as they can be completed at no cost to you, and hold no obligation. So, "no harm, no foul" if you wish to stay with your current insurer. The new year is a great time to have a look at the deductibles on your home and auto insurance and adjust them accordingly. If you are able to, raising the deductible on your home will lead to lower premiums throughout the year. Similarly, increasing the deductible on your vehicle(s) could also save you money on your auto insurance. This may also be a good time to determine if the cost of your deductible is still worth the cost of your car. If your car no longer holds a high enough value to warrant a high deductible, it may be in your best interest to save yourself some money and drop your collision/comprehensive coverage. Make 2018 the year that you can confidently say “yes, I read and understand my insurance policy”. The more you know about your policy, the better you will be able to ensure it meets your needs, and the easier you will be able to spot ways to save money on your premiums. If you have any questions about your coverage, be sure to speak with your insurance broker. There are no silly questions, and your broker is there to help you understand the services they provide to you. If you have ever missed or been late on an insurance payment, this may be a good goal for you. Being late or missing payments can be detrimental to your credit score and have an impact on your coverage, and the ability to remain with your insurer. If you can, signing up for automatic payments may be a good option, as you do not need to worry about paying a monthly bill, it will just come straight out of your account. Some providers even offer discounts on your premiums for setting up a payment system like this.